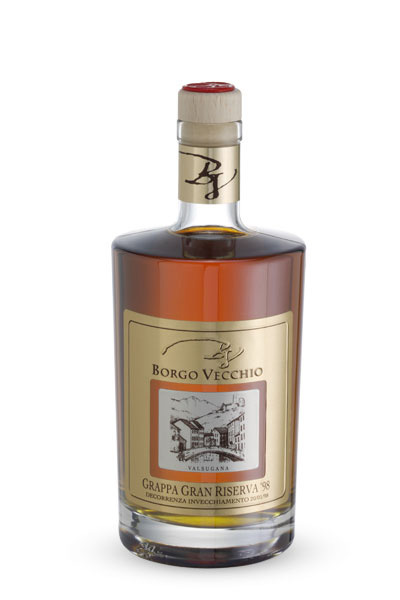 NIn the Olympus of Trentino grappa so-called for “conversation” or “meditation”, Borgo Vecchio anticipated by decades the consumption trends and modern canons of taste with the distillation of grappa delicate and lovable that they would then broadened the horizons of consumption also the female gender. Borgo Vecchio is the result and the synthesis of alchemy and “sensation humaine”, that human sensitivity so far away from large industrial processes, it is essential in the distillation. Juries of internationally recognized experts have examined and promoted our grappa. The most important awards from ISW (International spirits competition) for “Grappa Gran Riserva 98” and “Grappa Barrique” awarded the gold medal.  21 certificates since 2006 Borgo Vecchio boasts the “mark of the trident” the most authoritative institution of origin and quality for the Trentino grappa. 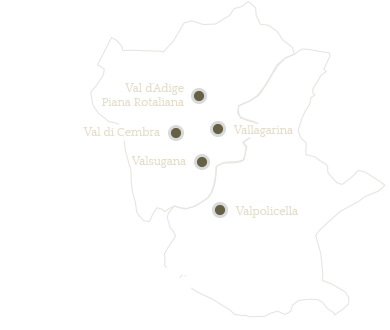 Borgo Vecchio characterizes his spirits identifying “terroir” (local micro-zones) where grapes and fruit assimilate special taste and aroma characteristics. The circle is tight around some of the valleys of Trentino selected for the special affinity, geology and climate-processing plant and the skins. 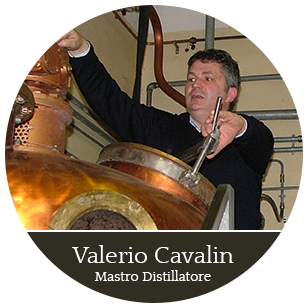 I’m Valerio Cavalin, Borgo Vecchio’s master distiller. I have a passion for this work gived from my father, Gian Luigi Cavalin, who went to the occupation of the liquor distiller in the early postwar years. Even today, after so many years after its foundation, I like to hear my father telling of his past experiences, and see my kids listen to him with attention and admiration.